The role of the Crown is both legal and practical; it functions in Ontario in the same way it does in all of Canada's other provinces, being the centre of a constitutional construct in which the institutions of government acting under the sovereign's authority share the power of the whole. It is thus the foundation of the executive, legislative, and judicial branches of the province's government. 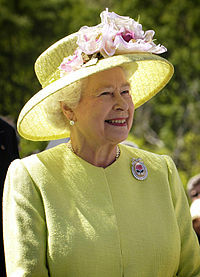 The Canadian monarch—since 6 February 1952, Queen Elizabeth II—is represented and has her duties carried out by the Lieutenant Governor of Ontario, whose direct participation in governance is limited by the conventional stipulations of constitutional monarchy, with most related powers entrusted for exercise by the elected parliamentarians, the ministers of the Crown generally drawn from amongst them, and the judges and justices of the peace. The Crown today primarily functions as a guarantor of continuous and stable governance and a nonpartisan safeguard against the abuse of power. This arrangement began with the 1867 British North America Act, and continued an unbroken line of monarchical government extending back to the early 17th century. However, though Ontario has its own government, of which the Lieutenant Governor, as the Queen's representative, Ontario is not itself a kingdom. A viceregal suite in the Ontario Legislative Building in Toronto is used both as an office and official event location by the lieutenant governor, the sovereign, and other members of the Canadian Royal Family. The Lieutenant Governor resides in his or her own private residence, though may be provided accommodations by the provincial government if her or she is not from Toronto. The Queen and her relations reside at a hotel when in Ontario. The Crown has held a place of special significance throughout Ontario's history. The visit of our Queen serves as a reminder of this fact, and I believe it can be a more memorable occasion for our young citizens if it is supported by a meaningful learning experience. Those in the Royal Family perform ceremonial duties when on a tour of the province; the royal persons do not receive any personal income for their service, only the costs associated with the exercise of these obligations are funded by both the Canadian and Ontario Crowns in their respective councils. Monuments around Ontario mark some of those visits, while others honour a royal personage or event. Further, Ontario's monarchical status is illustrated by royal names applied regions, communities, schools, and buildings, many of which may also have a specific history with a member or members of the Royal Family; for example, Ontario has at least 47 distinct features named for Queen Victoria: one county, one township, 14 populated places, and 31 physical features. Associations also exist between the Crown and many private organizations within the province; these may have been founded by a Royal Charter, receive a royal prefix, and/or be honoured with the patronage of a member of the Royal Family. Examples include the Royal Hamilton Yacht Club, which is under the patronage of Charles, Prince of Wales, and received its royal designation from Queen Victoria in 1891, and the Royal Conservatory of Music in Toronto, which, though founded in 1886, was constituted through royal charter by King George VI in 1947. The main symbol of the monarchy is the sovereign herself, her image (in portrait or effigy) thus being used to signify government authority. A royal cypher or crown may also illustrate the monarchy as the locus of authority, without referring to any specific monarch. Further, though the monarch does not form a part of the constitutions of Ontario's honours, they do stem from the Crown as the fount of honour, and so bear on the insignia symbols of the sovereign. ^ a b c Victoria (29 March 1867). "Constitution Act, 1867". III.9, V.58. Westminster: Queen's Printer. Retrieved 15 January 2009. ^ Elizabeth II (25 July 2007). "Municipal Tax Assistance Act". 1. Toronto: Queen's Printer for Ontario. Retrieved 2 July 2009. ^ Elizabeth II (12 February 2007). "Environmental Protection Act". 2.1.i. Toronto: Queen's Printer for Ontario. Retrieved 2 July 2009. ^ a b c MacLeod, Kevin S. (2008). A Crown of Maples (PDF) (1 ed.). Ottawa: Queen's Printer for Canada. p. 16. ISBN 978-0-662-46012-1. Archived (PDF) from the original on 18 March 2009. Retrieved 21 June 2009. ^ Privy Council Office (2008). Accountable Government: A Guide for Ministers and Ministers of State – 2008. Ottawa: Queen's Printer for Canada. p. 49. ISBN 978-1-100-11096-7. Archived from the original on September 24, 2009. Retrieved 17 May 2009. ^ MacLeod, Kevin S. (2008). A Crown of Maples (PDF) (1 ed.). Ottawa: Queen's Printer for Canada. p. 20. ISBN 978-0-662-46012-1. Archived (PDF) from the original on 18 March 2009. Retrieved 21 June 2009. ^ Forsey, Eugene (31 December 1974). "Crown and Cabinet". In Forsey, Eugene (ed.). Freedom and Order: Collected Essays. Toronto: McClelland & Stewart Ltd. ISBN 978-0-7710-9773-7. ^ "Golden Jubilee of Queen Elizabeth II: Empire Day". Archives of Ontario. Retrieved 2007-09-15. ^ Rayburn, Alan. "Queen Victoria". The Canadian Encyclopedia. Retrieved 15 September 2007. ^ "our Story > The History of The Royal Hamilton Yacht Club". The Royal Hamilton Yacht Club. Archived from the original on 23 February 2008. Retrieved 2 July 2009. Archives of Ontario. "A Celebration of the Golden Jubilee of Queen Elizabeth II". Queen's Printer for Ontario. Archived from the original on 2009-10-16. This page was last edited on 15 July 2018, at 14:08 (UTC).